The Trustee for the Mothers of Boys Fund is a Public Ancillary Fund and a registered charity. The Fund is endorsed by the Australian Tax Office with Deductible Gift Recipient (DGR) status. Governance of the Fund is via a six member Trustee Board of Directors who volunteer their time and expertise to the charity to achieve our Mission and Vision. 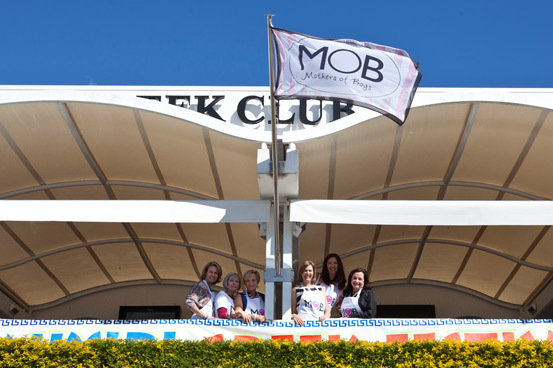 Mission: Mothers of Boys Australia aims to provide a forum for networking for mothers of only sons. Through its fun and enjoyable events and sale of merchandise, it raises funds for charities which benefit Australian children and adults. Vision: The Mothers of Boys vision is to create a nation-wide network for Mothers of (only) boys with chapters in all states and territories of Australia and in regions within those sectors. Ultimately Mothers of Boys would like to expand internationally. Flying the flag for the Mothers of Boys! The Board has adopted the following Corporate Governance Principles to provide for a transparent and well managed organisation with all MOB members knowing the foundation stones that dictate the operation of the charity and its’ people. The Fund will lay solid policy and procedure foundations for management, executives and volunteers to follow. The Fund has adopted a process for periodically evaluating the performance of the Board, its Committees, individual Directors, appointed Executives and Volunteers. The Fund will maintain a Board of an appropriate size, composition, skills and commitment to enable it to discharge its duties effectively as per the Company Constitution and governing legislative requirements and regulations. The Fund will act ethically and responsibly. The Fund will establish a sound risk management framework and periodically review the effectiveness of that framework.